The most important feast of the year just got easier with my menu for a complete make-ahead Thanksgiving. 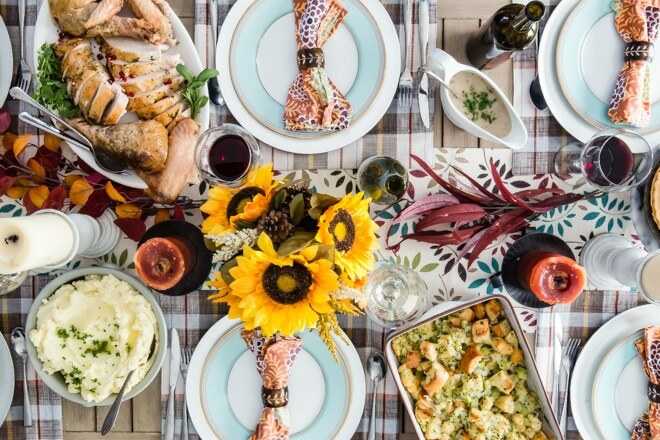 I included all the tips, tricks, and advice to make your holiday smooth sailing, at least when it comes to the food…I can’t guarantee everyone will arrive on time. 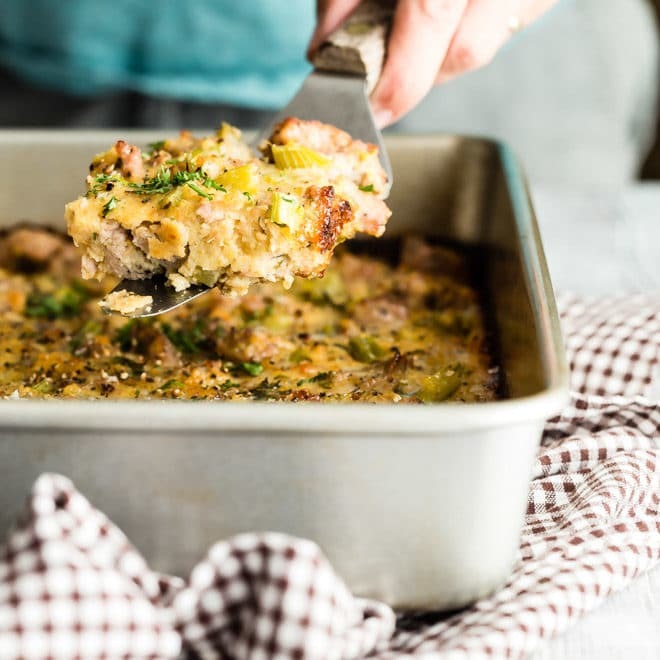 In just a couple weeks, Thanksgiving is upon us, and this year, I’m determined to make the day almost effortless and completely delicious with the best make-ahead Thanksgiving recipes out there, right down to the turkey. Don’t let this holiday stress you out; knock out the main course and all the trimmings well ahead of Thursday. You won’t need a dozen ovens to do it, either! By the time the big day arrives, you actually have time to be thankful. Carved roast turkey and gravy are at the ready with this recipe that gets all the messy stuff out of the way in advance and gives you a jump start on turkey stock. 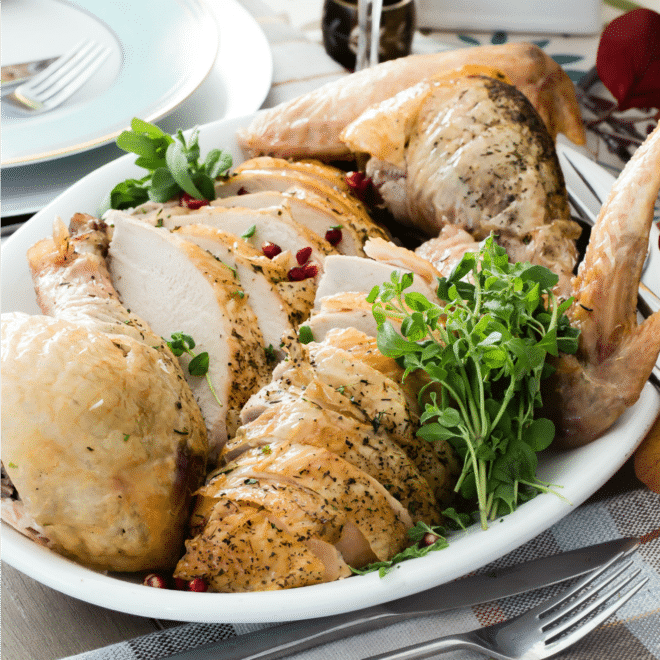 Learn how (and why) to truss a turkey, too. 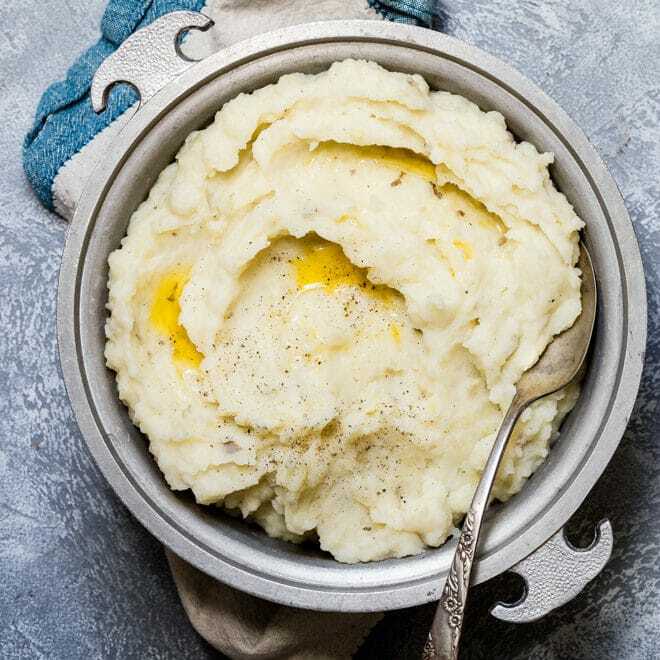 Fluffy, piping hot mashed potatoes will be the first things to disappear, so you might want to make-ahead extra so arguments don’t break out! A creamy and rich no-bake pumpkin pie that freezes like a dream and tastes like one, too. 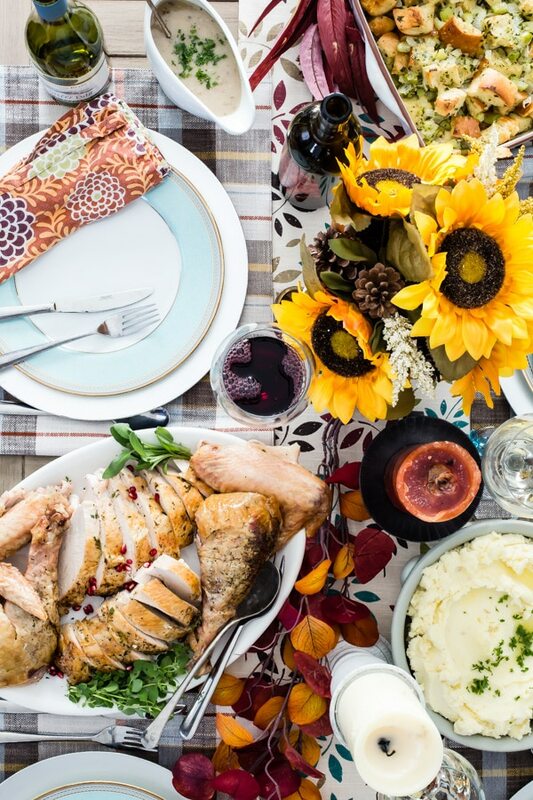 Whether you’re in charge of the whole dinner, or have been asked to bring a dish or two, I’ve rounded up some of my favorite must-haves for turkey day, Friendsgiving, or any Thanksgiving potluck. Need some rock-solid recipes? I’ve got them. Something to snack on before the big meal helps take the edge off everyone’s hunger. 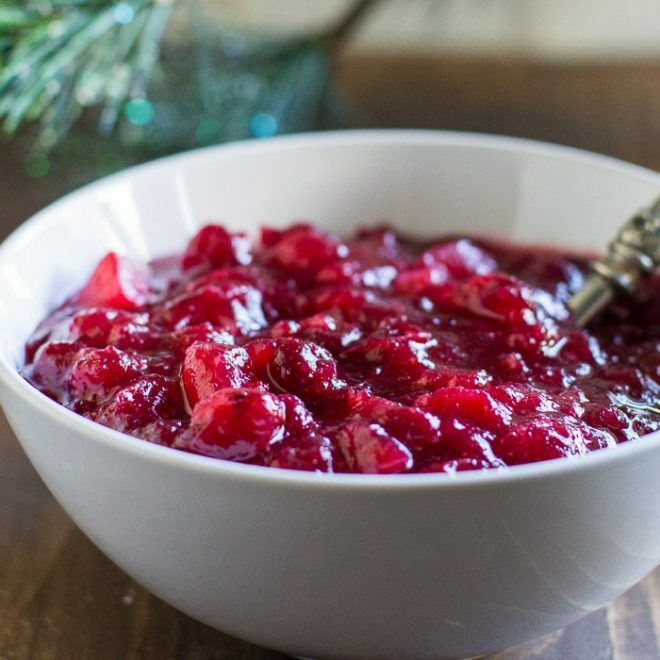 Make a big batch of my Mom’s Slow Cooker Cranberry Apple Cider, and put out some Easy Dill Dip with fresh or roasted veggies. The dip is best when made ahead! Or go all out and make Vegetarian Stuffed Mushrooms with Artichokes. Even your carnivores will love them. Sadly, the inventor of the original Campbell Soup recipe for the green bean casserole, Dorcas Reilly, died this year at 92. Her iconic recipe always been one of my favorite parts about Thanksgiving. I have two versions inspired by her recipe: the Best Green Bean Casserole and Crock Pot Green Bean Casserole, in case oven space gets tight. For purists, I recommend lemon and garlic Roasted Green Beans. It’s a quick recipe to whip up. In addition to my recipe for basic, perfect, three-ingredient mashed potatoes, I’ve perfected Scalloped Potatoes, too. Maybe you live in a house divided when it comes to potatoes, and have to make two different kinds. In that case, check out my herbed Boursin Mashed Potatoes, or super-fragrant Rosemary Roasted Potatoes. The house will smell delicious. 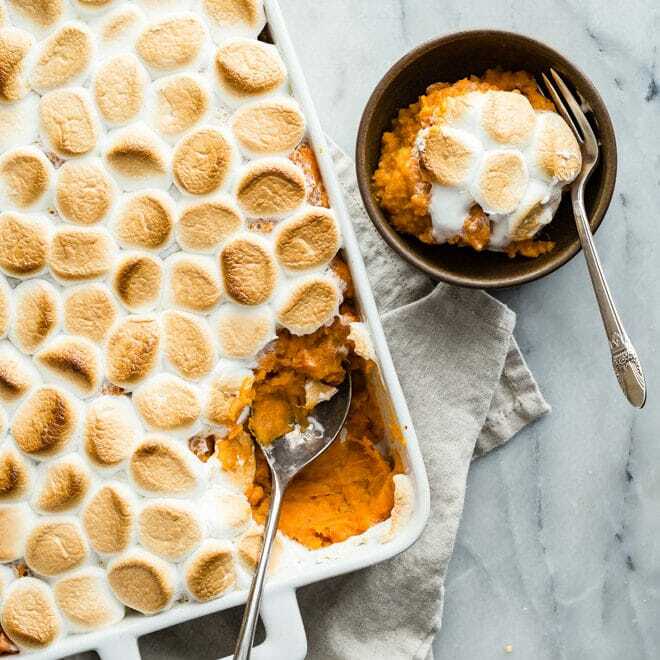 Speaking of potatoes, I always make Sweet Potato Casserole with Marshmallows. 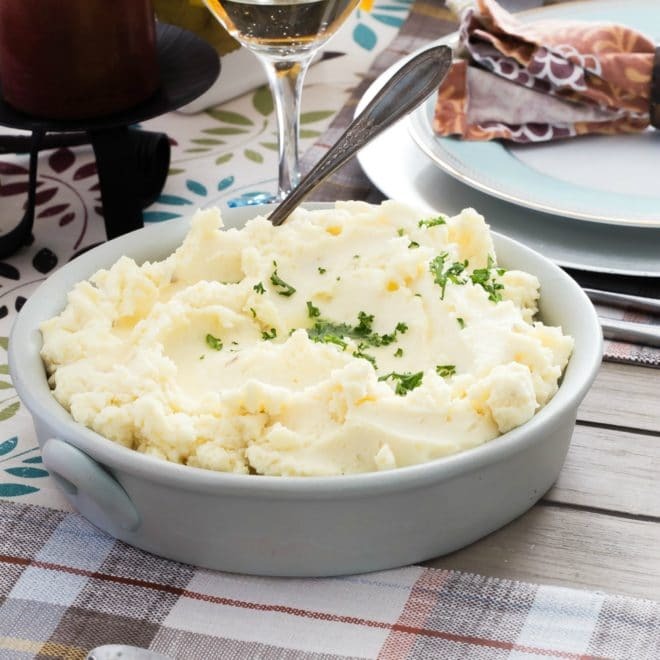 The potatoes are cooked in cream and butter for ultimate flavor. It’s part vegetable, part dessert, and all delicious. 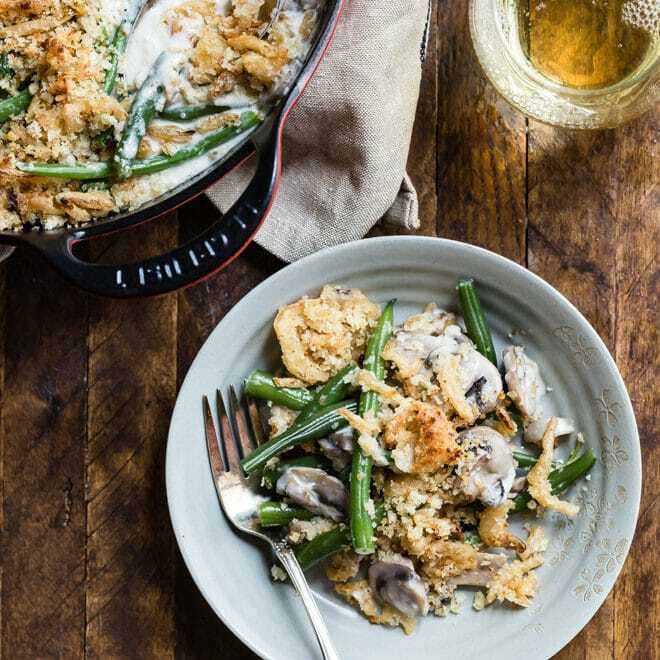 Whatever your mood, I’ve got a vegetable recipe that’s perfect for Thanksgiving. 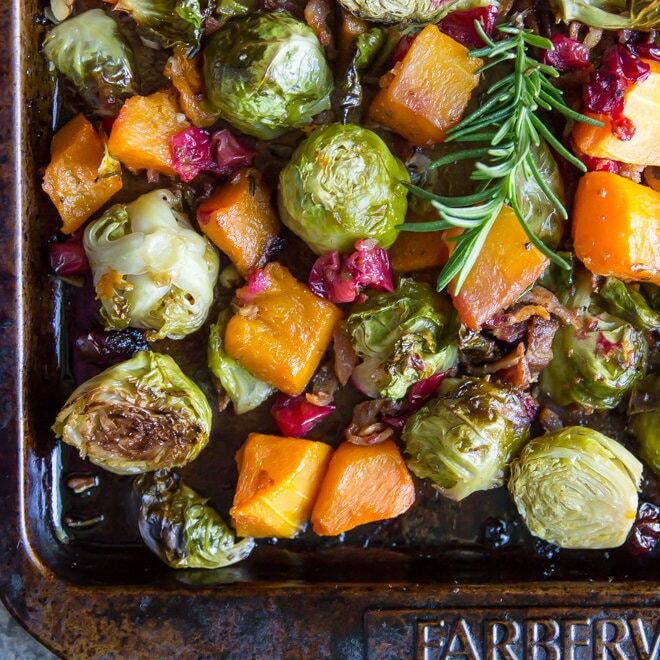 My recipe for Harvest Roasted Vegetables cooks up on a sheet tray: butternut squash, Brussels sprouts, cranberries, bacon, and walnuts. Need I say more? 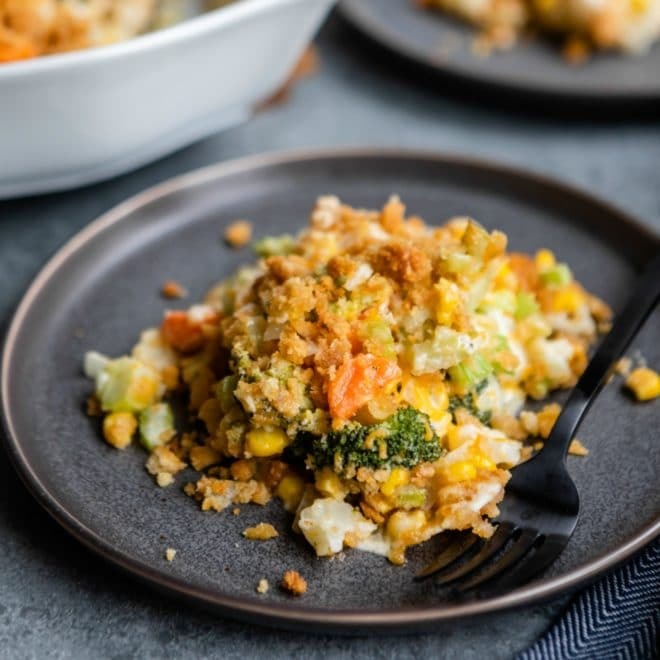 In keeping with the make-ahead Thanksgiving theme, you simply cannot go wrong with Vegetable Casserole, a vegetable and cheese masterpiece topped with crunchy baked butter crackers. Use a bag of frozen mixed vegetables, and stow it away until go-time. Every family’s Thanksgiving tradition is different, and stuffing recipes vary from house to house. 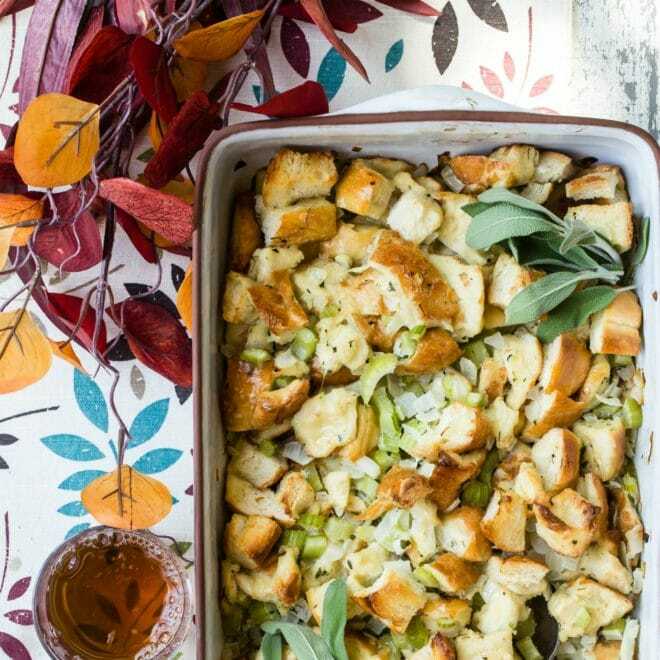 In case you want to branch out from my classic stuffing, try my recipe for Swiss and Sausage Stuffing, or a Cornbread Dressing with Sausage. If you’re like me, it wouldn’t be Thanksgiving without cranberries. Instead of getting bogged down this season, keep it simple: Homemade Cranberry Sauce with Apples, a stellar make-ahead Cranberry Sauce, or a Cranberry Cheesecake Galette with coffee (if you love cranberry desserts). 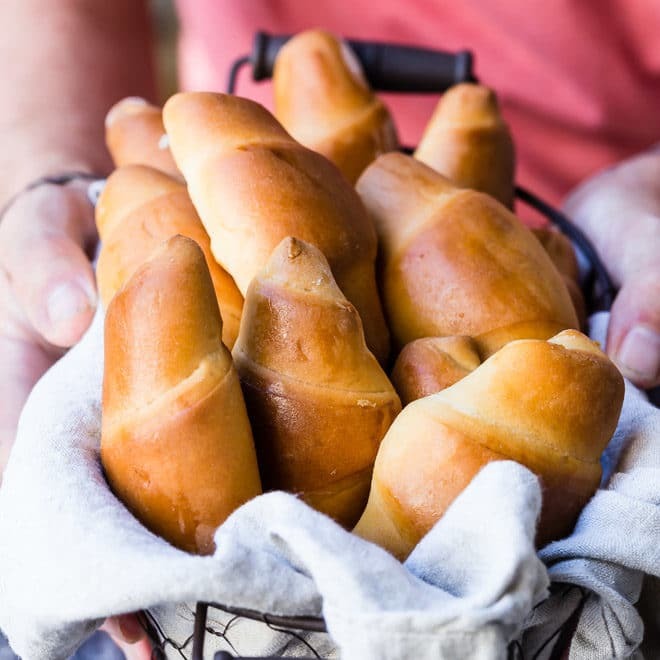 My grandma’s homemade crescent rolls are made with a yeast dough, a little time, and a whole lot of love. If you can roll out dough into a circle, you can make these rolls, I promise. Keep Your Fork, There’s Pie! I decided that with all the time I saved making this Thanksgiving dinner in advance, I could finally learn how to make the flakiest pie crust, and I show you how it’s done. You can use your newfound pastry skills to make the Best Apple Pie, the Best Pecan Pie, or the Best Pumpkin Pie. I know that’s a lot of “bests,” but I stand behind my recipes to make sure what you make always tastes great. 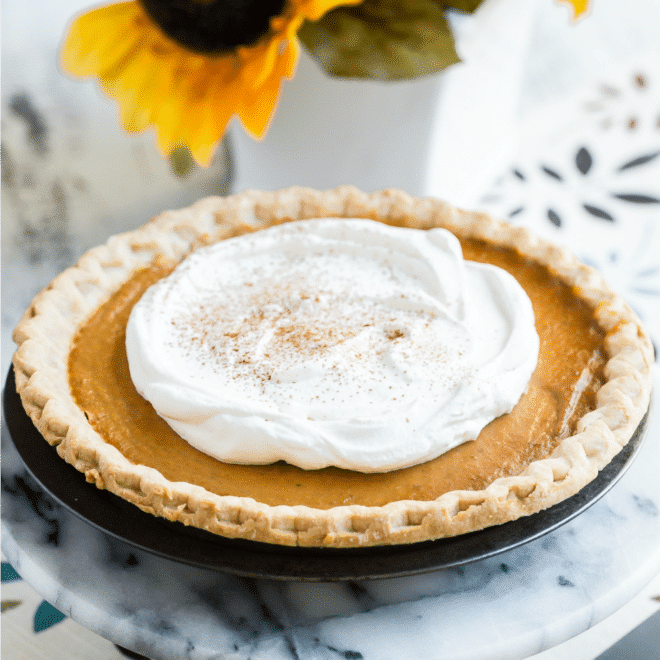 If you’re not into pie, but want to stay in the spirit of the season with a different Thanksgiving dessert, try my spiced Pumpkin Bars with Cream Cheese Frosting. They’re easy to make and kids go wild for them. The next day, use the leftovers to make Hot Turkey Sandwiches; they’re practically begging to be made. Or Turkey Tetrazzini, or a pot of Leftover Turkey Noodle Soup; while the soup cooks, have a cold slice of the pumpkin pie for breakfast. I hope your Thanksgiving is fun, delicious, and festive, without even a little stress. If I haven’t said it already, I’m so thankful for you, for the enthusiasm about good food you bring to the table, and especially for your encouragement along the way.